Memorial Day is just around the corner, marking the unofficial start of the summer season. Welcome the warm weather with an unforgettable long weekend in New York State. If Memorial Day weekend has "relax" written all over it in your book, we&apos;ve got just the spot for you. The naturally occurring waters in Saratoga Springs have long been known for their healing properties. Soak in the naturally effervescent water, then go for a treatment or three. The spa opened more than eight decades ago thanks to President Franklin Roosevelt&apos;s visionary act to preserve the Saratoga Springs area - so you&apos;ll absorb some history (via osmosis) while relaxing in those natural pools. Spend your weekend basking in the glory of the "Grand Canyon of the East." 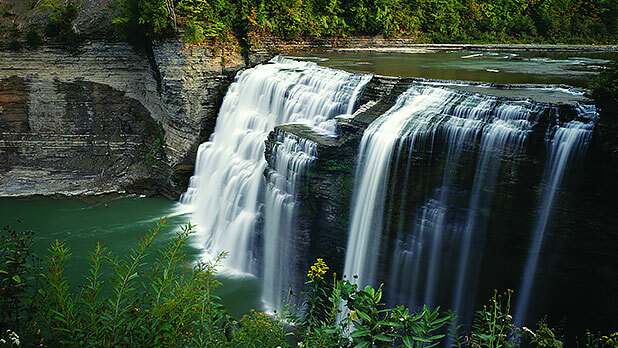 The Genesee River roars through the gorge over three massive waterfalls (as tall as 600 feet). In the park, you&apos;ll find 66 miles of hiking trails, paths for horseback riding and swimming pools. Thrill seekers can try whitewater rafting, kayaking and even hot-air ballooning. 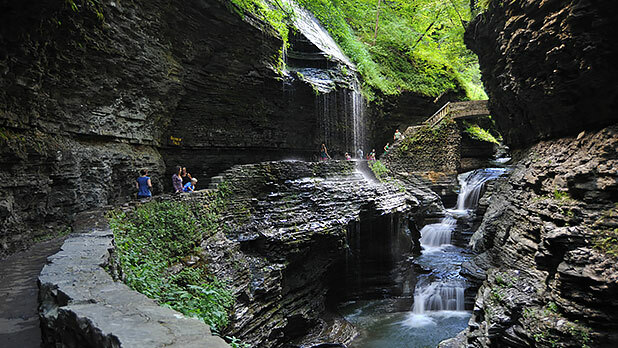 Watkins Glen State Park in the Finger Lakes includes a stream descending 400 feet past 200-foot cliffs, creating many tiny, picturesque waterfalls to gawk at and splash in. Hike the gorge path that winds over and under the falls, creating a cooling splash zone for hikers - a perfectly natural solution to a hot summer&apos;s day. Bring a picnic, or plan a camping adventure if you want to make a full weekend of it. Love to be outside, but don&apos;t want to necessarily rough it? Travel to Ithaca for a glamping experience you&apos;ll never forget. With campfire yoga, myriad trails close by, craft Finger Lakes beverages and outdoor lounge areas, Firelight Camps brings all the fun of camping to a comfortable, hotel-like setting. Better book fast! 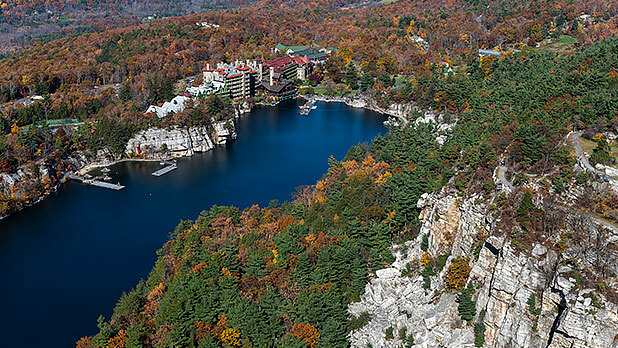 The Mohonk Mountain House has a little something for the whole family. 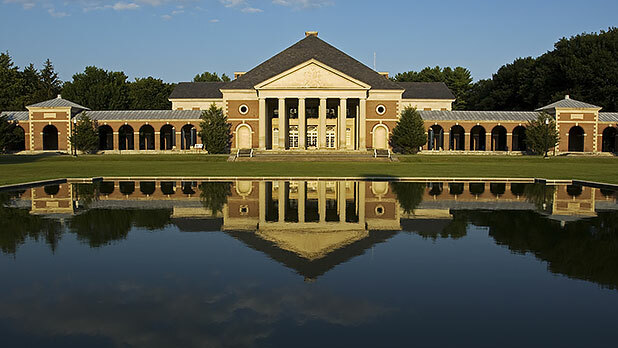 An award-winning National Historic Landmark Resort, the mountaintop oasis has rooms of all sizes and complementary activities that include paddle-boarding, golf, tennis, swimming, boating, history tours, yoga, meditation classes and more. Rest comfortably during your spa time knowing the kids and your spouse are having endless fun a mere couple hundred-feet away! The Mohonk Mountain House Barn Museum Tour, which displays an extensive collection of antiques used at the house over the decades, opens up daily starting Memorial Day Weekend and runs through through October. Make sure to check it out! 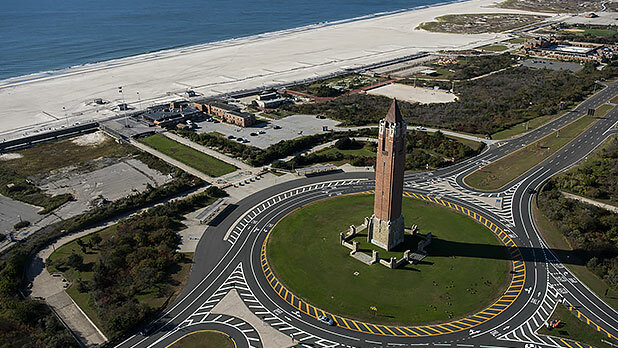 Jones Beach State Park in Long Island is home to more than six miles of white sandy beaches along the Atlantic. Soak in the sunlight and enjoy a nice swim by day, and explore the many activities the boardwalk has to offer by night. Shake the sand out of your shoes and visit a historic exhibit and catch a game of miniature golf or shuffleboard nearby. Catch the Bethpage Air Show, one of the largest events on Long Island, on Memorial Day. The Navy Blue Angels will perform high flying stunts and maneuvers that never fail to disappoint. 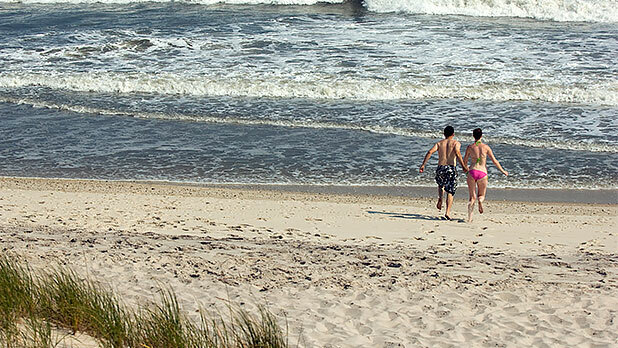 Get away from it all with a weekend relaxing on this barrier island just under three hours outside of Manhattan. The rhythmic waves, high dunes and ancient maritime forest beckon you to let go of the grind and indulge yourself in an enchanting collage of coastal life. 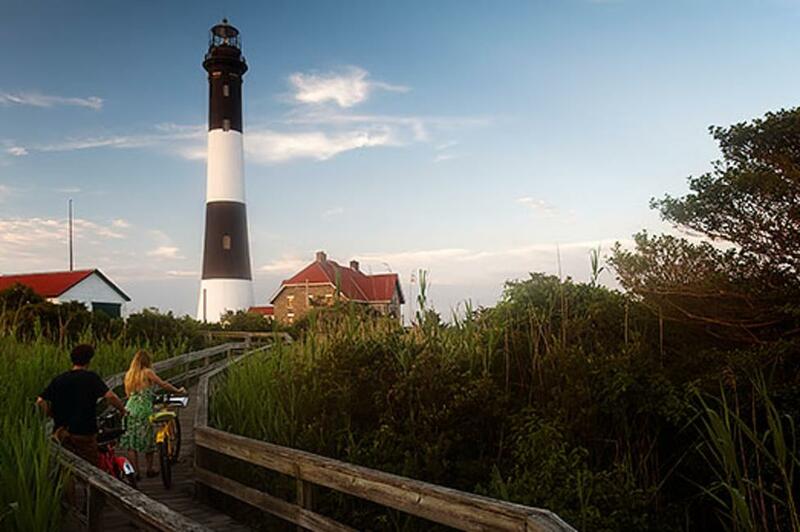 Don&apos;t forget to pay a visit to the Fire Island Lighthouse while you&apos;re there. Memorial Day was born in Waterloo, New York, 150 years ago, and today that Finger Lakes town is home to the National Memorial Day Museum. Visitors can explore military uniforms and artifacts, and learn about the history of the holiday from the aftermath of Civil War through the 20th Century. Pay a visit to this museum dedicated to preserving, interpreting and disseminating the stories, history and records of New York State&apos;s military forces and vets this Memorial Day Weekend. Travel through time with stories of the Native American Warriors to today&apos;s Homeland Defense Forces via unique exhibits and tours. The Saratoga Battlefield, Monument and National Cemetery are nearby. This National Historic Site is America&apos;s premier leadership institution, dating back to 1802. Home to the U.S. 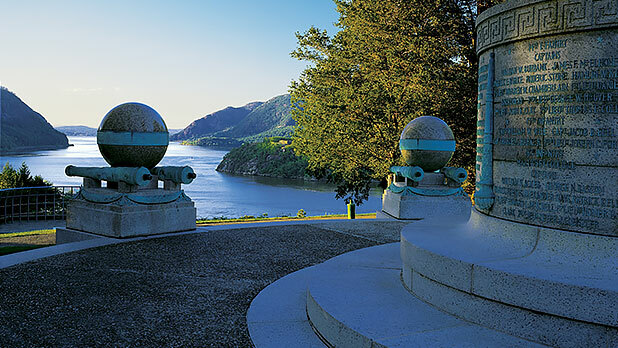 Corps Cadets, the United State Military Academy at West Point prepares its students for both professional excellence and service to our great nation. With notable graduates including two U.S. presidents, Ulysses S. Grant and Dwight D. Eisenhower, and names like George Washington Goethals, who architected and built the Panama Canal, the Academy is home to a myriad of United States History. The grounds are open to the public daily. Visit our Path Through History website for many more historical locations across the state.